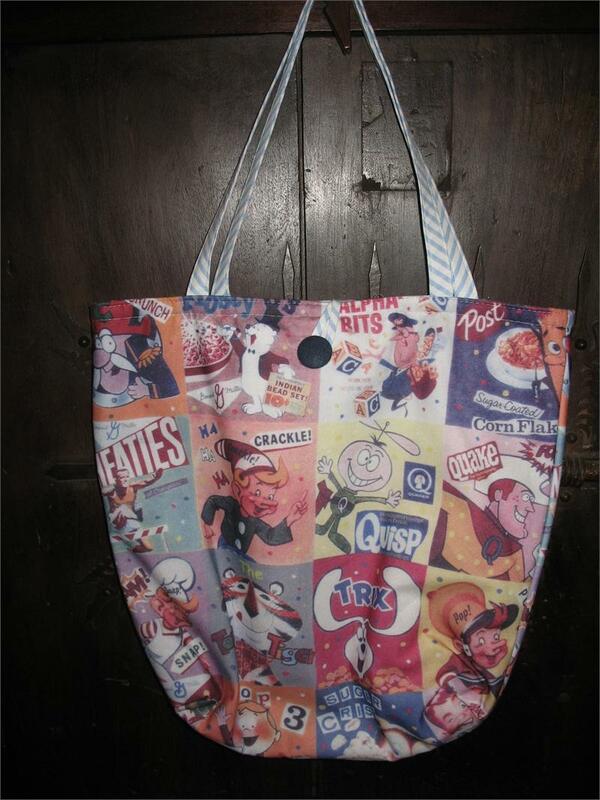 This delicious reversible cloth tote bag features vintage advertising for cereals from the 70's including Frosted Flakes, Wheaties, Alpha-bits, Captain Crunch, Rice Crispies, Sugar Crisps, Sugar Pops, Quisp, Trix and more. 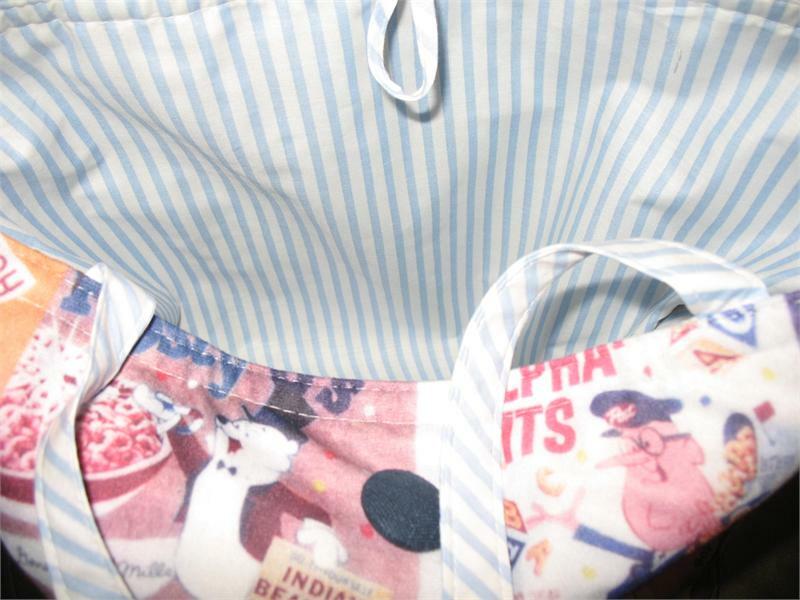 The reverse side is blue and white cotton stripe. 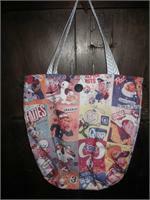 You'll be the coolest on in the grocery store every time!